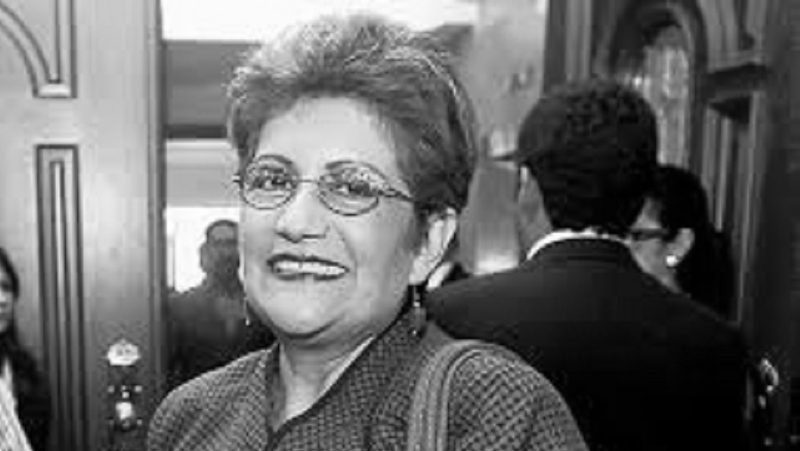 THE FACTS – In 2017, retired Police Commissioner María Luisa Borjas, filed a report with the National Human Rights Commission in Honduras (CONADEH), requesting the disclosure by the Public Prosecutor of the fiscal requirements of persons responsible for several murders. It is important to note that the complainant is a member of the Atala family, one of the most powerful in the country, related to the DESA company and the political feminicide of Berta Cáceres. According to information provided by C-Libre, since the year 2003, 43 criminal proceedings have been brought against journalists and human rights defenders for crimes against honor, related to the dissemination of information of public interest. 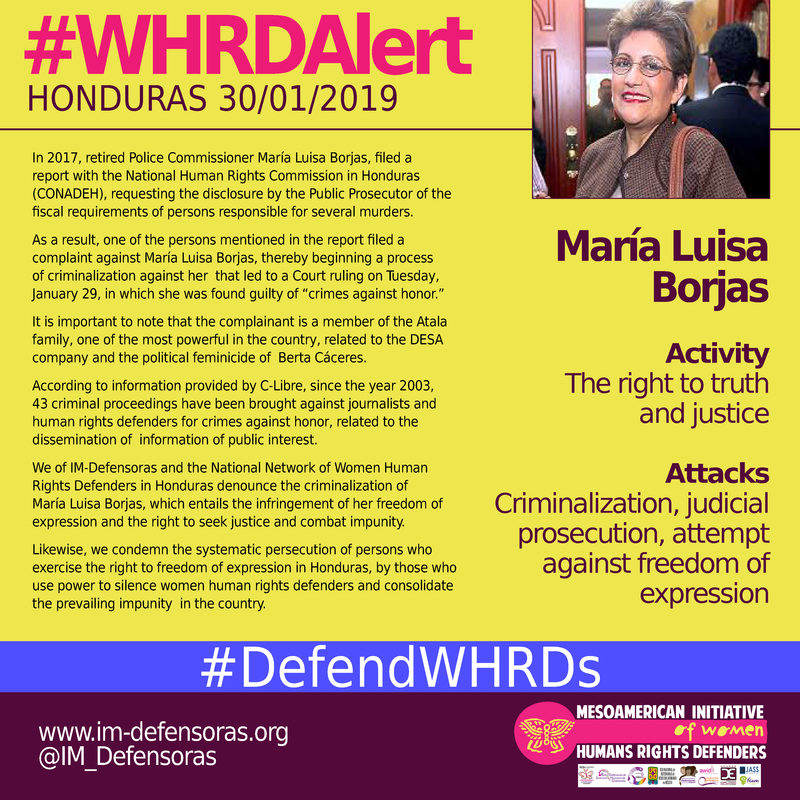 We of IM-Defensoras and the National Network of Women Human Rights Defenders in Honduras denounce the criminalization of María Luisa Borjas, which entails the infringement of her freedom of expression and the right to seek justice and combat impunity. Likewise, we condemn the systematic persecution of persons who exercise the right to freedom of expression in Honduras, by those who use power to silence women human rights defenders and consolidate the prevailing impunity in the country.